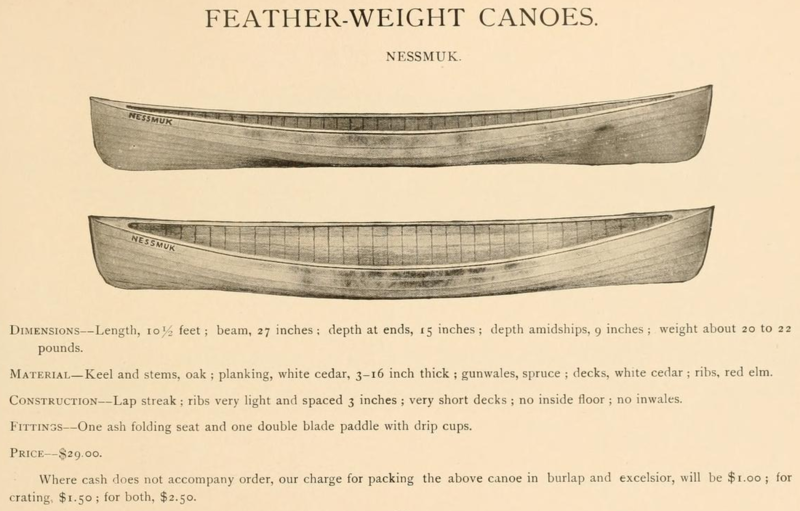 Nessmuk is an historic replica of a canoe commissioned by the author George Washington Sears for his Adirondack cruise in the summer of 1880 and built by the Rushton Boat Works of Canton N.Y. Sears wrote about this and subsequent trips in Forest and Stream magazine under the pen name 'Nessmuk'. 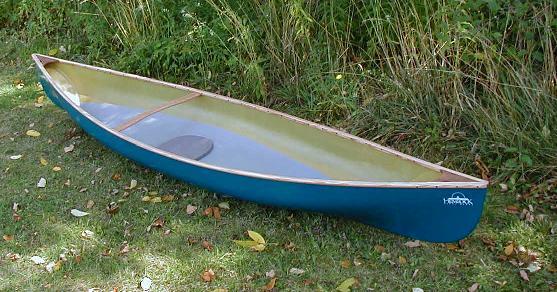 One of the most celebrated canoes in American canoeing annals, Sears' Adirondack letters in Forest and Stream in 1883 boosted her into fame. 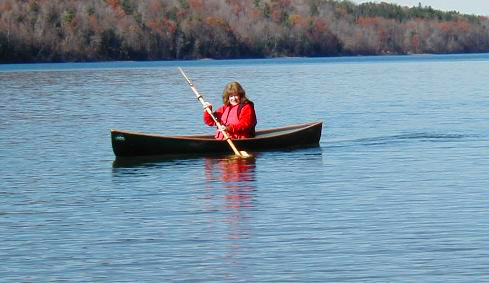 Our Nessmuk is faithful to the original "Wee Lassie" which now resides in the Adirondack Museum. 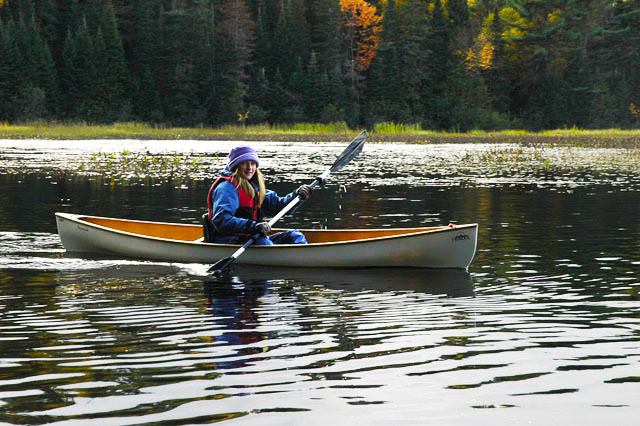 This type of craft has come to be generically known as the Adirondack Pack canoe, and is the best way to obtain the smallest, lightest solo recreation paddle craft. Incredibly handy to paddle and transport, Nessmuk will surprise you with her quickness and seaworthiness. 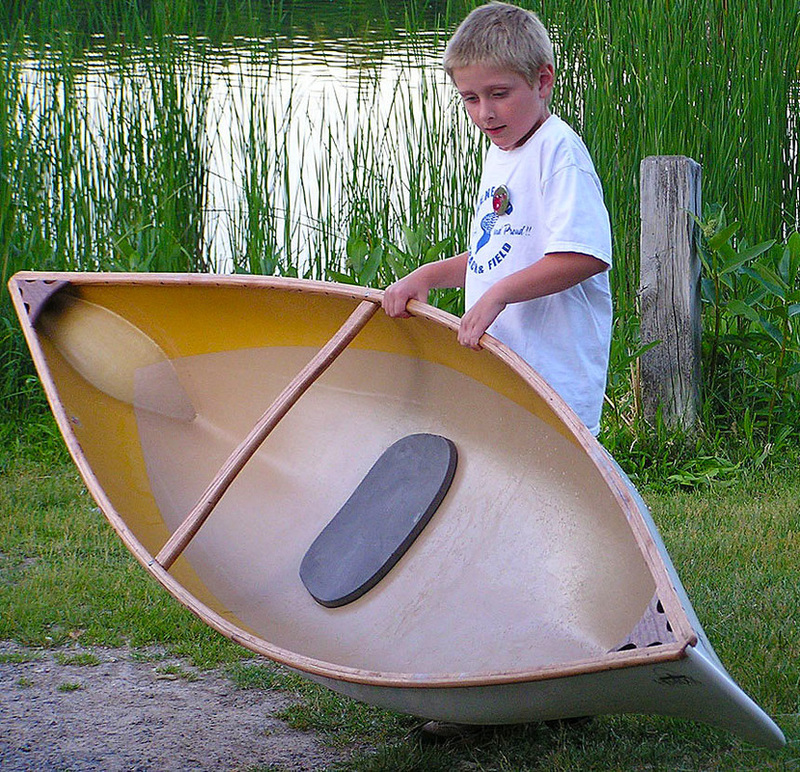 Hull Width - at gunwales : 27"
Hull Width - maximum : 27"
Hull Width - at 4" WL : 25"
Hull Depth - bow : 14"
Hull Depth - center : 10"
Hull Depth - stern : 14"
Hull Rocker - bow : 1.5"
Hull Rocker - stern : 1.5"
Avg WT - Kevlar®/Hybrid hull : 16 lbs. Avg WT - Premium+ hull : 15 lbs. Avg WT - Premium Lite hull : 14 lbs. Capacity - Maximum : 225 lbs. Capacity - Efficient : 125 - 175 lbs. Adjustable Footbraces are available as an option.